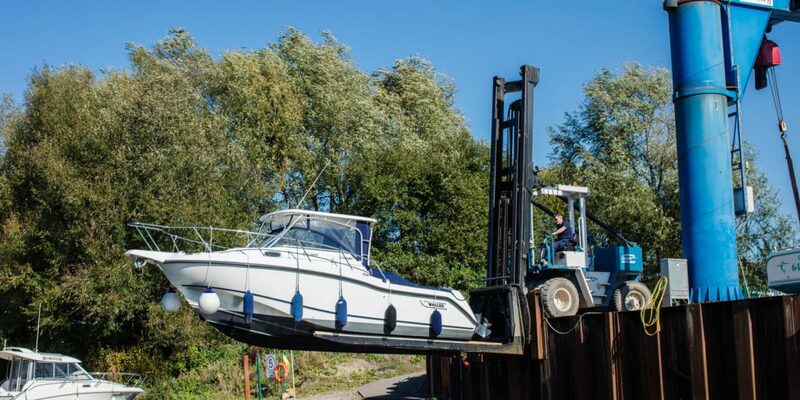 Drystack is a popular alternative to marina berthing for RIBS and motor boats up to 30ft, weighing up to 5 tonnes. The service includes unlimited launches and recoveries and when the boat is afloat you benefit from the facilities at Cardiff Marina including showers and toilets. We provide 110 dry stack berths at Cardiff Marine Village. 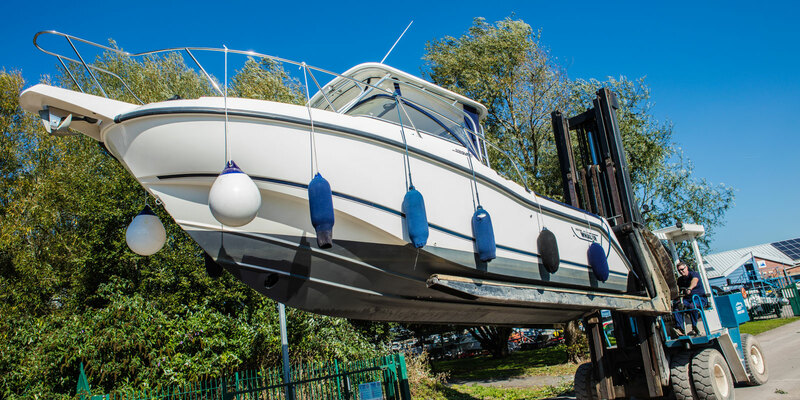 When you have finished, return your boat to where you collected it from and a member of our team will return it to its original rack position at Cardiff Marine Village. WHAT IS THE DIFFERENCE BETWEEN YOUR GOLD AND SILVER SYSTEM? Boats are launched and delivered to our designated drystack berth on I pontoon at Cardiff Marina. When you have finished using the boat return it to I pontoon and we will collect it from there and bring it up to Cardiff Marine Village and return it to the drystack for you. Boats are launched and moored at the pontoons at Cardiff Marine Village. You may use I pontoon at Cardiff Marina while your boat is in the water but you will need to take it there and then deliver the boat back to the pontoon at Cardiff Marine Village when you have finished. If occasionally on the Silver system you wish your boat to be taken directly to Cardiff Marina then there will be a £45 boat movement charge. HOW DO I GET MY BOAT LAUNCHED? The drystack is operated as a launch on demand service during Boatyard hours. Call us at least an hour before wanting to use the boat for it to be launched for you. Launching times are 9am-4pm Monday to Friday (Summer) 9am-3pm (Winter). If you want to use your boat at the weekend, or think you may like to, call us on a Friday for it to be launched. The price includes all of the lifts and recoveries between the drystack and the water. The price also includes weekends on a marina berth if the boat has been launched on a Friday and one night stays during the week for the night following the launch. Any prolonged time on the marina berths will be charged at the appropriate berthing rate. HOW DO I ACCESS MY BOAT ONCE LAUNCHED? Access to Cardiff Marina and the Cardiff Marine Village pontoons is via a security gate for which you will need a fob which incurs a £10 deposit. Please be sure to close the gate after you and do not let anyone unknown to you follow you onto the site. Get on the water quickly!